International Crisis Group is an independent, non-profit, non-governmental organization, with some 120 staff members on five continents, working through field-based analysis and high-level advocacy to prevent and resolve deadly conflict. Link to the full report here. Why have we chosen this document? In recent years, armed conflicts, coups, political crises, terrorism and trafficking of all kinds have destabilized the countries of West Africa. Ivory Coast has experienced unprecedented political crisis that led the country into an armed rebellion and Mali had to face armed groups called jihadists and separatist movements which controlled a large part of its territory. In all these crises, the Economic Community of West African States (ECOWAS) has been asked to provide urgent answers. The various interventions of the regional organization, including Guinea-Bissau, Mali and Burkina Faso allowed to appreciate its strengths but also its limitations in its ability to restore peace and security in a sustainable way. 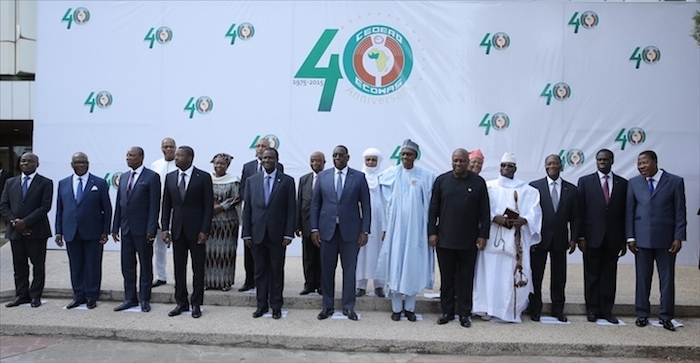 We chose this report as it evaluates the action of ECOWAS in terms of peace and security, after the celebration of the fortieth anniversary of the organization in 2015, while political and security challenges are even more complex than before. The report focuses on institutional reforms planned for years without being implemented, and proposes a series of recommendations to enable ECOWAS to fulfill its mission more effectively. 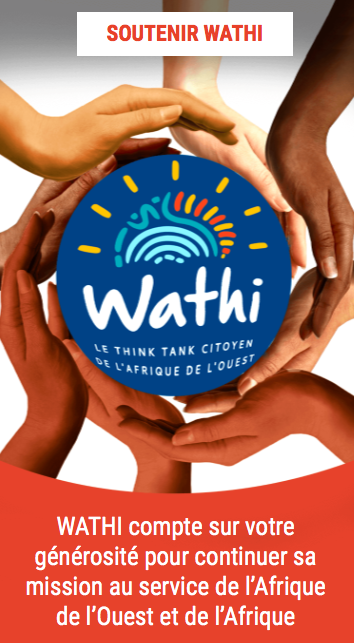 What lessons for the countries of the WATHI Zone? Among the report’s recommendations, three avenues for action should be the subject of special attention for the member countries of ECOWAS. States must reaffirm the priority and irreversible nature of the implementation of the institutional reform project proposed in 2013. The immediate action to improve the functioning of the organization’s services is a necessity. This means reducing malfunctions in the management of human, administrative and financial resources, as well as reducing blockages or delays in implementing decisions resulting from the concentration of power in the presidency of the Commission. Strengthening the capacity of Member States to fight more effectively and collectively the various threats must result in the establishment of a pole to fight against organized crime. It will integrate various action plans against transnational crime, including terrorism, drug trafficking, people, arms and maritime piracy. States must publicly support the recommendations formulated in the ECOWAS institutional reform project proposed in 2013. The establishment of an ad hoc structure of the West African civil society will be required to perform independent monitoring of the implementation. This mechanism is a way to unite the organizations of civil society around this project by giving it a citizen stamp. The following excerpts come from pages: i-IV, 24, 25, 26, 27, 28, 29, 30,31. The ECOWAS region has experienced over forty coups since the independence era and seen some of its leaders trying to keep their grip on power at any cost, or establish political dynasties. The body has also been confronted with more complex crises in the form of identity-based armed rebellion, as in Côte d’Ivoire, or jihadist threats, most recently in Mali. Since the 1990s, through the authority of its Heads of State and Government, ECOWAS has reacted to these crises systematically. It has yielded incontestable political and diplomatic results, but its military record is more mixed. ECOWAS’s interventions in Guinea-Bissau, Mali and Burkina Faso have highlighted the organisation’s strengths, but also its limits. It has neglected several of its key objectives, including strengthening the political and security institutions of member states, reassessing all dimensions of its Standby Force and enhancing regional cooperation on transnational security threats. Such threats pose a challenge to established crisis prevention or resolution mechanisms, and cannot be overcome by traditional mediation tactics and the deployment of military missions. 1. Reaffirm the essential and irreversible nature of the implementation of the institutional reform proposed in 2013 that aimed to strengthen the organisation’s capacity in the field of peace, security, stability and social and economic development. 2. Create a working group tasked with monitoring the implementation of this reform process, including heads of state and government, or, alternatively, high-level political figures, representative of the political, cultural and linguistic diversity of ECOWAS. 3. View the restoration of Nigerian diplomacy and its influence throughout Africa as a priority for the federal government, and make the revitalisation of ECOWAS a central pillar of this renewed diplomatic role. 5. Take immediate action to improve the efficiency of departments, by addressing dysfunctions within human resources management, administration and finance, and blockages or delays in the implementation of decisions which result from the concentration of power within the commission presidency. 6. Accompany member states in the reform of their political practices to strengthen their legitimacy and effectiveness, specifically in the areas of good governance and in strengthening their judiciaries in line with ECOWAS protocols, specifically by establishing ECOWAS permanent representation offices in every member state. d) strengthening significantly ECOWAS’s expertise on other regional economic communities in Africa and throughout the world, and inviting other regional economic communities in Africa and the African Union (AU) to define a framework of coordination and collaboration on issues of terrorism, trafficking, maritime security, money laundering, infiltration and destabilisation of states by criminal networks. 8. Implement the recommendations of ECOWAS’s self-assessment conducted in 2013 following the Mali crisis, specifically those concerning operationalising the mediation facilitation division and re-examining all dimensions of the ECOWAS Standby Force (doctrine, operational procedures, logistical strategies and financing). 9. Support publicly the recommendations contained in the institutional reform project proposed in 2013, and implement an ad hoc structure for West African civil society to independently monitor its implementation. 10. Clarify the principles of subsidiarity, comparative advantage and responsibility sharing to quell tensions between the AU and ECOWAS during major crises in West Africa and its neighbours. 11. Continue to reflect on the doctrine, format and configuration of the African Standby Force with a view to better adapting the model to current threats and the future of peace and security on the continent, drawing lessons from challenges encountered by ECOWAS. 12. Support ECOWAS’s institutional reform without interfering in the process, and continue technical and financial assistance projects while ensuring they do not reduce incentives for reform.